Do you want to make money blogging, or collab with brands? Well Siteground hosting is gonna be your best match and I’ll explain why and how to set it up. If you want to setup a blog with Bluehost, read this post: Setup a blog with Bluehost in 5 steps. Please note this post has affiliate links! Become a successful new blogger! So let me start with an introduction. If you hate intros and helpful info, just skip to the steps! Save this image to Pinterest! In 2017, I signed up for a free wordpress.com blog. That blog is soyvirgoblog.wordpress.com. I decided 4 months later that I needed to get my own domain to make money with my site. In March 2018, I bought website hosting for the first time with Siteground.com. The plan I paid for was the start-up and I included Domain Privacy and Scanner. That came up to a total of $95. You don’t have to do what I did, you can easily pay $63 for the domain name (if you don’t have one) and hosting. Recently, on February 14 2019, I had to renew my service. The price came up to $203! The reason being, the cheap deals only last for 12 months then the regular prices come at you. How sad! I decided to take off the extra services and only pay for my domain name renewal (soyvirgo.com) and the hosting. P.S! Please make sure to pay the annual fee up front, if you decide to do monthly payments, there is a hidden fee of $14 if you decide to go monthly. I will be making blog posts about my experience with Siteground and will link them here! For now, let’s continue learning about Blogging and Setting up hosting! Why should I get a blog? If you’re having trouble understanding why you want or need a blog ask yourself some of these. Do I like working for someone else? You can have a blog as a side hustle. It doesn’t have to be a blog, it can be an e-commerce store. You can do so much with a website! What if Instagram goes down again? How will my followers know what I’m up to without a website of my or email subscription? Think about how you can invest in yourself for your future. A blog is a great way to do that! All these can help you find your purpose and your blog’s goal. You want to give advice to college students who work full time just like you? Make a blog! Do you need to share your experience as a single mother? Have a knack for reviewing products? Maybe you will do great as a reviewer for anyone who is stumped about buying a certain product. Are you struggling with an illness and want others to understand they’re not alone? There’s many other reasons why owning a blog is great! My reason is that I am able to work from home, not get stressed out working for someone I don’t really care for, and I can do literally all the things I want from a laptop. If you’re serious about blogging as a business and want to actually own what you create, then I suggest going with a “self-hosted” platform like wordpress.org. I’ve been on Tumblr and Blogspot for years! When I started on soyvirgoblog.wordpress.com, I actually had people read, follow and comment on my posts. I only purchased hosting with Siteground to make money with my blog posts and website. That’s exactly what happened 6 months into owning SOYVIRGO.COM! Read: How I made $200 on my blog within 6 months of being self hosted! I have a blog, but why get hosting? Many people love being on a free-hosted site and I would love it too, but for some reason I was stuck with soyvirgoblog.wordpress.com. I didn’t know how to change it and I also couldn’t edit my theme much or make money with my site. So, everything was pointing me to Siteground Hosting! You own ZERO of your content on a free-hosted site, meaning WordPress.com can delete your site, content or people can even steal your work! Free platforms put their own ads on your site. It’s really annoying! You’ll get yourblog.wordpress.com instead of yourblog.com on a free host. WordPress.com platform restricts your ability to monetize your blog, so you can’t make money. No support available on a free program! You have to adhere to WordPress’s Terms and Conditions, which means you gotta be careful about what you blog about. Limited customization options, so you can’t have a cute theme. Not much opportunities with a free-hosted blog. You look unprofessional to big brands and maybe other bloggers! Self-hosting means you’re basically your own BOSS and you can follow your own rules! So get a host! Now, if you’re convinced, find out how to get hosting now! If you hate it, you will only lose some cash, but it’s a great investment to your future side hustle/being your own boss! I really recommend you do this after you’re sure you want to write, share photos and stories, or make a business online. Not sure why else people get self-hosting and a domain other than that reason. Since you’re reading this, you might thinking to start a blog. If so, go with the Start Up plan. You can choose to buy a new domain, or sign up with a domain you already have. There is a free website transfer, which is included only for GrowBig and GoGeek plans. Since I never had a domain, I bought mine straight from Siteground by clicking “Register a New Domain” as you see in the image below. Also, since I was on wordpress.com, all I did was download my files and upload them on the wordpress.org dashboard. DON’T WORRY, you still can transfer your followers, content and most of your likes and comments. As long as it’s less than 4 months of content. Not all my comments photos and posts were transferred since it was too big of a file. If you want your brand to be focused around you, name it after your own name (ex: KikiCutie.com). Try to avoid names that are hard to spell, and therefore a struggle to remember. Don’t get a blog name that’s too long. It will be hard for us to remember it too! Try to combine similar and short words that are easy to spell and are catchy. Something that you will love! Check your blog name availability! 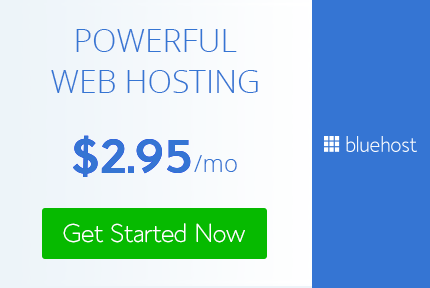 TIP: If you use Bluehost as your hosting provider you will get a FREE domain. I recommend Siteground for their service and reviews, that’s all! I believe the domain price from Siteground is $15. Taking advantage of Siteground’s cheap are worth it, especially for your first year of blogging! You will not only get amazing service but you will get more than what you ask for. I really had no idea I would get the option of making business emails, but I did and I’m glad. Once you got all that done, sign in to Siteground. Then, Head over to your accounts. Click “Manage Account” on the appropriate hosting account and domain name combo. Then, Go to your cPanel. Select the WordPress icon and hit the install button. Need more help, try Sitegrounds post here. I will make a post of my own and link it here. For me, it was very easy to do because all I did was transfer my old content to a new one, edit my theme, and boom. Jk, there’s obviously more than that, but like.. I can’t explain how to do it if you’re not a wordpress.com user… So yeah I will make my own post to explain! Now that you have your site, learn how to be more of a success than what you already are! Akismet – As a new blogger, you’re going to get a ton of spam comments. To successfully avoid these, you will need this plugin! You can also head over to your Settings > Discussion in WP to further edit your preferences too. Yoast SEO –This plugin is a must-have if you want readers from all over the globe to hit up your site. It helps your posts be better optimized for SEO so Google search engines can rank your site higher in their search results. WP Fastest Cache- If you want your site to load faster, then having a caching plugin is a must! Siteground has it’s own cache system to make my site load quick but I thought it would make my site faster to have a plugin. WordPress makes installing plugins easy. In the WordPress dashboard, look on the left sidebar. You can search for different plugins in the search bar or upload ones already saved on your computer. Once you’ve chosen a plugin, click on Install Now > Activate. Now it should show up in your dashboard! This is a must because depending on your theme, you may have to add extra plugins to even do the things you want to do. Luckily I chose a theme that has a built in Social Share button feature. Lots of bloggers say to get Social Warfare (?) plugin, but I don’t need it since my theme came with social share buttons already in the theme. My theme also came with cute social media follow buttons, a search bar, a cute footer and instagram widget that shows all my recent Instagram pics. Anyways if you want to get my $4 theme or find others like it, check this link out! I bought Siteground hosting. What’s Next? After your break from setting up a website, ask yourself a few questions— “Do I need a theme?” “Does my site need a shop?” Also you will have to navigate through Siteground and the Cpanel. That’s one thing I had some trouble with at first. Maybe I will make a post about it! Claim your blog on Pinterest, Bloglovin’ and other sites/apps. Also, add the follow button on your theme so wordpress users can EASILY FOLLOW YOU. If you want the button generator, go here! Create an email list with MailChimp(free) or ConvertKit. Add code and extra widgets to your site. I added the Pinterest widget since I use it so much. Sign up for Affiliates, Sponsors, Guest Posting and more! You can always log into WordPress by going to yourdomain.com/wp-admin. Mine is soyvirgo.com/wp-admin. Just sign in with your credentials Siteground gave you. If you don’t remember your login info, find the welcome emails sent to you. I can use WordPress.com to manage my site, and also the WordPress.org dashboard which you can use to edit your website and.. really I’m not sure about the differences with the two dashboards. WordPress.org dashboard is useful for using my plugins but I use the reader for other things like reading other blogs. Sign up to WordPress.com with a specific email that’s meant for anything related to your blog. Connect that email to Gravatar, that way when people hover your profile image, it links to your Gravatar! It’s not necessary but I think it’s great to have people see more about the user through that. “Add new site” on wordpress.com so you can interact with people in the wordpress.com reader! They will also be able to interact with you by commenting and liking straight from the wordpress.com reader. This is great when people are too lazy to actually go to your site and comment through there. I’m guilty of that sometimes, not gonna lie! Now you can be both active on wordpress.com and use your wordpress dash like a pro! I will make a post for this! How do I brand my blog? Post coming up for this! Connecting a Gravatar to your blog’s email. Creating an icon/logo and header. Create a Google Search Console account and add your property (website)! In WordPress Dashboard, connect your social accounts on Settings > Sharing. Sign up for Tailwind App, and join these boards. Set up social media accounts to promote your site. Edit your WordPress Share Buttons so your readers will easily share your blog posts! If you want to setup a blog with Bluehost, head over to this post, Setup a blog with Bluehost in 5 steps. NOTE: This post contains affiliate links. Read my disclosure for more info. That was a ton to read but I hope it helps! Thanks for reading How to Setup a WordPress Blog with Siteground! The best advice I can give is to not let fear of making a business/site hold you back. You never know, you can become really successful. Being scared of possibly being a success just doesn’t make sense, does it? You will never know if you’ll make it unless you try. Also, you don’t need to know how to do everything right away, look at me, I’m still learning every day! I’m trying to share what I know because frankly, it’s not that hard, sometimes it seems hard because we really don’t know anything about making our own website, but it won’t take forever to learn TBH. You can do it! I feel like everyone should be self-hosted if WordPress actually works out for them. You get so much control over your blog. There is so many reasons to own a blog. Whether I own my own business or work for others, I’m still going to have mine, hehe. Hope upcoming bloggers will find this post super useful! Great post! It’s super detailed!